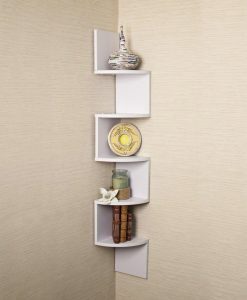 Display your favorite photos or knick-knacks on this laminate decorative wall shelf, which features three intersecting cubbies. Display your favorite photos or knick-knacks on these laminate decorative intersecting wall racks, which features three intersecting cubbies. 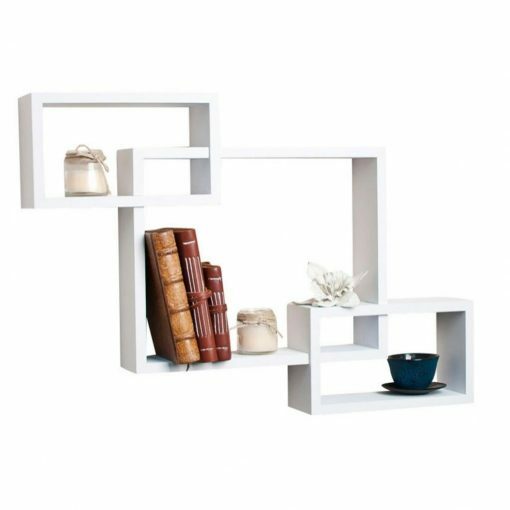 The white shelf, which is a constructed with no visible connectors, includes all of the hardware necessary for hanging. 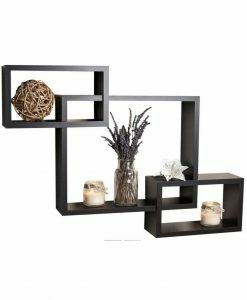 This decorative intersecting black wall shelf provides three storage cubes plus level display space on top, perfect for a combination of large and small decorative items. Easy to install with no visible connectors or hanging hardware. All hardware included. 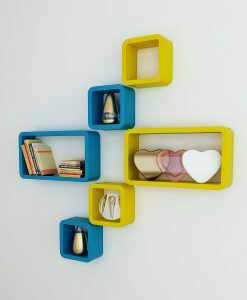 DecorNation’s Intersecting Floating Wall Shelf is what you need. 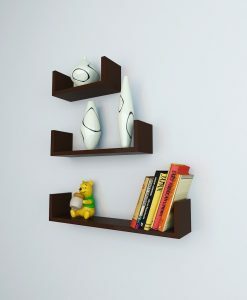 This Set of 3 intersecting wall shelf fits perfectly on your wall. Gives a unique and contemporary look. On top of that it holds your artifacts and creates a display wall. 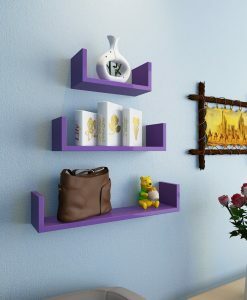 Made of high quality durable long life MDF. Interesecting mechanism is great for displaying your favorite things. 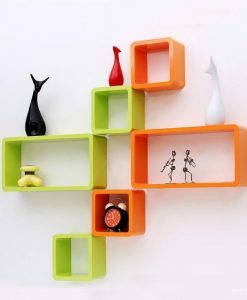 Modern Wall Shelves. 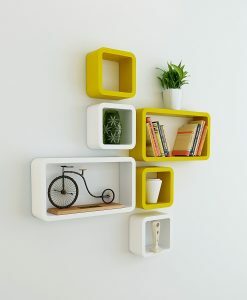 Shelving can be mounted on almost any wall in your home. 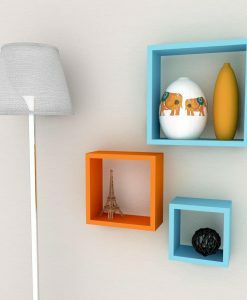 Save your room’s space with the wall shelf to show off souvenirs, small treasures or art.